Select item 5 on the A2 main menu for a complete schedule of upcoming A2 RTCs. For even more information, see Bulletin Board Category 3. Copyright © 1992 by the Apple II RoundTable of GEnie. All rights reserved. <[A2.Lynda] L.BOTEZ> I'd like to introduce one of my favorite Apple II Developers here in the A2 RTC room tonight. William Heineman from Interplay. He's here to chat with us about his Sluggo III Nintendo Developer System, and let us know what he's been up to lately. In case you don't know, Bill is an Apple II programmer extraordinaire. He's responsible for creating some of the greatest Apple II games ever. I can't list 'em all, but Bard's Tale (all of 'em), Tass Times, Wasteland... etc. are a few of 'em. He currently works for Interplay; and besides all the different hats he wears (I'll let him tell you), he writes games for the GS and Nintendo. <[A2.Lynda] L.BOTEZ> So, without further ado... I'm introducing Bill Heineman ("Burger Bill"). Say a few words, Bill! <[BurgerBill] INTERPLAY.> A few words, Bill! <[Jordan] J.SPRINGGAT1> Where does Nintendo fit in with the GS? <[BurgerBill] INTERPLAY.> Well Mindscape is in Illinois and Origin Systems is in Austin TX. You could move there.. :) You could offer your services as a contractor but to publish software requires a blessing from Nintendo which costs $$$. <[BurgerBill] INTERPLAY.> The board (It's an enclosed unit in a nice case) does require the target system. You do get a development cartridge for a specific system from me. 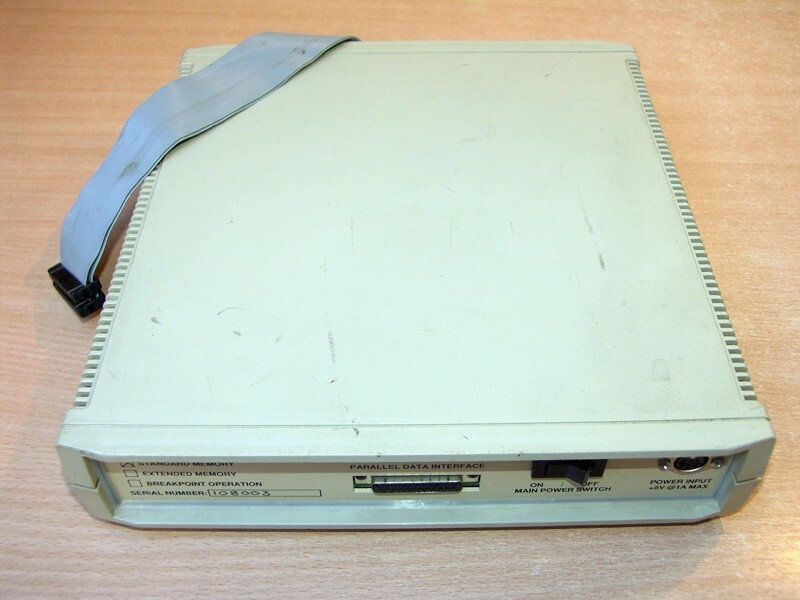 The Super Nintendo can be programmed with 65816 Assembly or ORCA/C. <[Nate] N.TROST> Hmm, okay, second, on the subject of GS games, what is the status of Bards Tale III GS, and is "Out of This World" the same thing as this "Another World" game I've been hearing about? <[BurgerBill] INTERPLAY.> Out of this world = Another World. Bard's III GS is up in the air right now. <[BurgerBill] INTERPLAY.> No, Nintendo will NOT give out info to individuals. You must get the info from a Nintendo developer. <[| Steve |] C.GUNN> Ive heard that you can download the ROMs from a game to your hard disk.. so would it be possible to play the games, (not to copy them) and more importantly to disassemble them to see how they work?? <[| Steve |] C.GUNN> Ok.. does the Sluggo III support the old Nintendo also? <[BurgerBill] INTERPLAY.> Yes it does. You must purchase a dual since the 8 bit Nintendo requires 2 ROMs. <[Paul] C.MEYERS1> Okey dokey.. I think this has just been answered, but is it possible to use Sluggo III to play Nintendo games on the GS? <[BurgerBill] INTERPLAY.> Well, not exactly... You download the cartridge data into the Sluggo III and then you play them on the Super Nintendo you also have hooked up. You can store the cartridges on the IIgs hard drive but the GS doesn't actually execute the code. <S.QUICK1> You can use your GS monitor to view the SNES machine instead of a TV. <[Paul] C.MEYERS1> Ok.. Also, why is this called "Sluggo III"? <[BurgerBill] INTERPLAY.> A Sluggo III is nothing more than a developer's tool, just as ORCA/M or Merlin is a tool for IIgs software development. So what exactly are you asking? <[Mike] TBC> Basically you then had to write your own software tools. Correct? <[BurgerBill] INTERPLAY.> I use Merlin for writing the code for the Super Nintendo. But things like graphic editors and sound editors must be written by yourself. <[Mike] TBC> And then it's simply a matter of getting the tech info from one of the manufacturers, by hooking up with an existing publisher, correct? <[BurgerBill] INTERPLAY.> I sometimes use SynthLab for music composition and Sound Shop for sound editing. But I must convert the data to something the Super NES can use. If you wish to develop Super NES software, you must hook up with a Nintendo developer or reverse engineer the Super NES yourself. <[dan] D.GEMMER1> Ok, Mr Bill. How long do you intend to keep this offer around? <[BurgerBill] INTERPLAY.> Forever. Contact Parsons Engineering or Myself to get sales literature or place an order. <[BurgerBill] INTERPLAY.> (310)-695-3966 for me or (818)-331-1377 for Parsons Engineering. <[dan] D.GEMMER1> Thanks, one more question, is it legal to develop software with out permission from Nintendo? <[BurgerBill] INTERPLAY.> Yes and no. Yes it's legal, but No, you'll get sued so fast it'll make your head spin. You could write the software then submit it to a licensed Nintendo developer such as Interplay for publication. Otherwise you cannot distribute your game. We do look at submissions. But only if you have a COMPLETED game. No ideas please. <[dan] D.GEMMER1> Ok, thanks. PS, do you have any documentation you can send people? <[BurgerBill] INTERPLAY.> The Sluggo comes with complete documentation. And software to drive it for the Apple IIgs and the IBM PC. Give me a call and I'll mail docs. 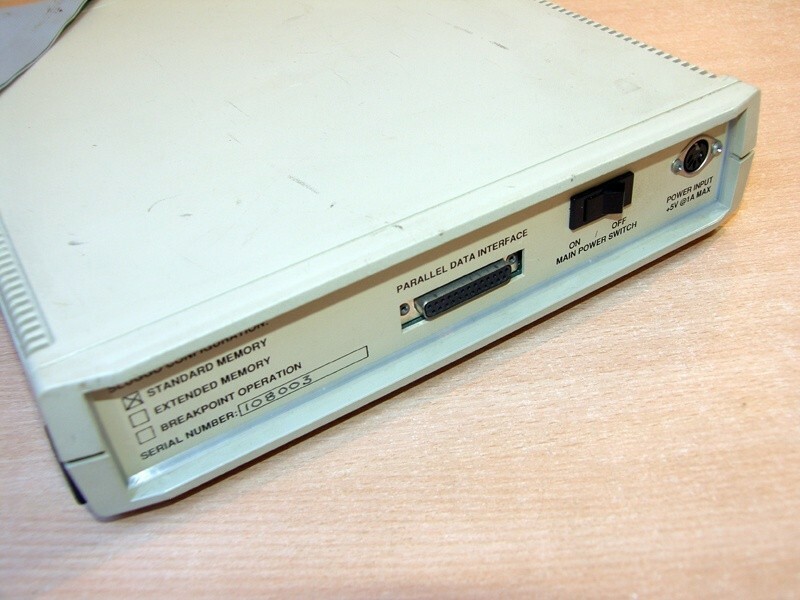 <[Mike] TBC> You mentioned that Sluggo III interfaces parallely -- what parallel card do you use personally with your GS? <[BurgerBill] INTERPLAY.> AE Parallel Pro. And it is the ONLY one that works with the Sluggo since it emulates a PC parallel port. I supply the software for the AE card but I do have a version that runs with a grappler and an Epson card but it's download only. No debug or step functions. <[John [#18] J.LARSEN4> If WE develop a program OURSELVES we should have the RIGHT to give it to friends or whomever we want to give it to. <[BurgerBill] INTERPLAY.> Well. No one says you can't develop software for the Nintendo but there is a copy protection chip in each cartridge and to make cartridges yourself you need to copy a PATENTED copy protection chip. The cartridges that come with the Sluggo DO have the chip in them but they are connected to a Sluggo. <[John [#18] J.LARSEN4> Why is there a single and a dual sluggo. <[BurgerBill] INTERPLAY.> A Dual Sluggo emulates TWO ROMs simultaneously. For 16 bit systems or the 8 bit Nintendo which uses 2 ROMs at the same time. <[dan] D.GEMMER1> Ok, Mr. Burger, I am a high school sophomore, with a super NES, a gs, and a modem, would either of the units be of any practical use for me? 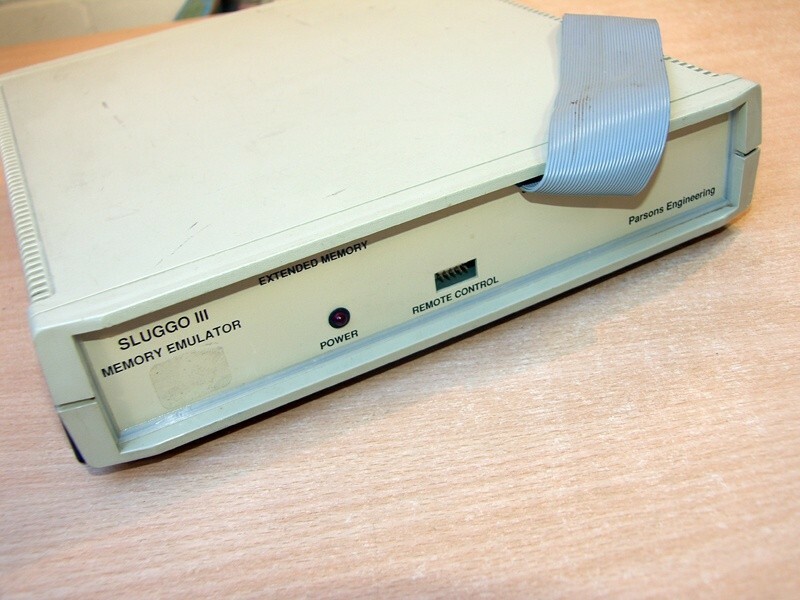 <[BurgerBill] INTERPLAY.> The Sluggo III is a developers tool. It has very limited use otherwise. It is a hardware device that emulates a cartridge. You still need qASM or Merlin. <[SDI4ever] J.KLAR> Bill: Here's a memory test for you. How well do you remember Wasteland? I've got securpass's 1,3, & B. I cannot get into too many rooms in Sleeper Base. <[BurgerBill] INTERPLAY.> Did you look in all of the trash? Also some doors can be blown to bits with just the right firepower. Securpass 7's and A's are in Cochise. You have to find them. <[BurgerBill] INTERPLAY.> I wrote a little toy called P0rnoWriter. And I am making a sequel. It's called StarTrekWriter and will create Star Trek stories. I have Scott Everts assisting me (He did the Star Trek Stack). Also I am rewriting Deliverance and Bakkup for Vitesse. <[Nate] N.TROST> Okay, Bill, do you know if NEC, Sega, Atari are any easier to work with than Nintendo? <[BurgerBill] INTERPLAY.> The Super Nintendo has it's ups and downs. You will find this to be true with just about any game machine except the Lame boy. It's the machine from hell. I prefer the Super Nintendo since you can scale and rotate graphics in realtime. To get info, only the Atari Lynx is easy to get. Sega and Nintendo keep their information a tight secret. Just call Atari and they'll send everything you need to write software for the Lynx. <LUNATIC> You make it, we'll buy it! <[A2.Lynda] L.BOTEZ> Thanks again for coming, William. Transcript from comp.sys.apple2, images from Retro Games, both found by Raphaël Doursenaud. Mention in Stay Awhile and Listen: How Two Blizzards Unleashed Diablo and Forged a Video-Game Empire by David L. Craddock.